I recently became a morning workout person. My old schedule was blown up after I moved to a new apartment and my commute changed. I had to join a new gym, and I quickly realized the best time for me to work out is 8:00-9:00 a.m.
For years I’d gone to the gym in the evening, usually after dinner, from 8:00-9:00 p.m. I never thought of it as a perfect system, but I managed to get four workouts in a week, and at least two of them were always solid. It wasn’t until I started working out mornings that I recognized some serious issues with my old system. As in, I used to yawn during workouts. I used to avoid cardio or core work because there was still food in my stomach. I used to blast uptempo songs into my ears at a time of night that I should be winding down. I used to skip sets or reps because I’d “had a tough day at work.” I used to come home and crave sugar. I was somewhat aware of these issues at the time. But I didn’t care. Optioning my workouts to the morning sounded legitimately revolting. I get my best sleep in the morning (I have trouble falling asleep), so it was a non-starter. Life forced my hand, though, and since this past February, I’ve been sweating over a mat and dumbbells four days a week … at 8:20 in the morning. And I’ve gotta say, I feel good. It’s not all in my head. Working out boosts the metabolism, inciting the body to burns calories for several hours. Those processes are far more effective during the day, as opposed to while you lie in bed. As for lying in bed, I used to come home jacked up — from the music and adrenaline — which definitely contributed to my inability to sleep. (Though, it should be noted, some people have little trouble sleeping after exercise.) Plus, when I threw in a starchy snack, I’d give my body and brain even more homework for the night. Meanwhile, working out in the morning has led to more productive mornings and healthier choices. Early exercise releases endorphins that improve mood, help prioritize tasks and manage impulse control. In other words: I’m dishing out compliments, getting a head start on my work, and choosing whole wheat toast with almond butter instead of an everything bagel with cream cheese for breakfast. The biggest hurdle to getting here has been reinventing my mornings, and by extension, my understanding of who I am. I get it. Springing out of your covers at the ding of the alarm is some serial killer sh*t. But the positives are supreme. You just have to build in some fail-safes. Strategies that ensure you can defeat your old morning self, whose judgment (and sleepiness) is generally in line with that of a tyrannical, drunken toddler. Below, we’ve detailed nine methods that can help. You won’t need all of them to stick, just two or three. See you for sunrise. Join a more expensive gym. No, really. One of the biggest strategies I can impart here, and this will be relevant for a few tips on this list, is make sure there’s money on the line. You gotta wager on you. If you’re paying less than $50 a month on a basic gym mebership, you’re not that invested, are you? Find a local gym with new equipment. Without dust under the racks. Where the towels are folded and you can make morning showers part of your routine. That’ll mean spending anywhere from $100-$200 on a membership each month, but that’s good. Your gym will be a veritable destination you look forward to visiting, and you’ll feel bad any month you don’t get your money’s worth. I’ve got my evenings back. There’s nothing like remembering at 4:30 that you’ve already worked out and can absolutely attend Taco Tuesday with Fun Friend Who’s in Town. I recommend routinely making plans (fun or otherwise) on days you know you’re supposed to work out in the morning. That way you can’t bail yourself out later with an evening workout, and have gotta get up. Don’t understimate either how much more confident you’ll be going out on dates, to dinner, to the DMV, after a big morning session. The more annoying, the better. We all know how to snooze our iPhones in perpetuity. 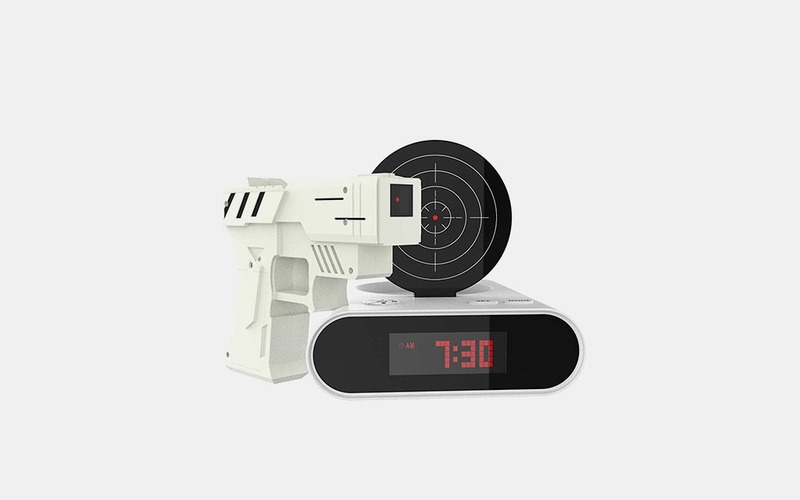 Get an alarm clock that requires actual action, like the Ruggie, or the ridiculous Gun and Target Alarm Clock. Or just go the budget route and put your phone across the room. Once you take that first step out of bed, you’re good to go. Probably a hot take for a fitness article. But “a run” probably shouldn’t be your morning workout of choice. The stakes just aren’t high enough. I mean, consider how tough it is to go for a run after a full night’s sleep on a beautiful Sunday. On a dark Monday morning, you can easily roll over and convince yourself you’ll handle it later. Or the next day. Joining a running club could work, but those guys are serious, they’ll head out for an eight-miler whether you show up or not. Your best bet if you must run would be to recruit a buddy and make sure you hold each other accountable. Another instance where money is on the line. ClassPass has a $20 cancellation fee if you blow off a class and a $15 cancellation fee if you fail to cancel 12 hours before the class starts. 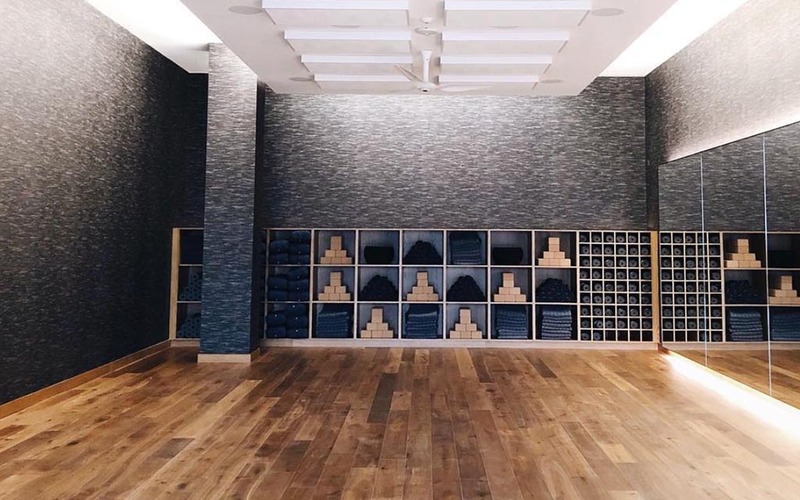 Research what class you’d like to try the night before — HIIT, hot yoga, jiu jitsu, what have you — and then go to bed. Unless you go to bed the same time as a kindergartener, chances are you won’t even have 12 hours to cancel the class. That means when you hear that alarm in the morning, you better be ready to sweat, and get your money’s worth. An overly ambitious workout schedule just sets you up for failure. Leave six workouts a week to pro athletes and Marvel actors. You just need to pick three days you can definitely get up, get to a class or the gym, and take care of your business. Upgrade that to four a week down the line, if you feel really on top of your routine. Tell the world! They’ll say they’re happy for you, then fume privately, but that’s not your concern. Saying you’re a morning workout person over and over again will help speak your new routine into a sustained way of life. Share your secrets, recruit friends to join you, whatever. Broadcasting it will just add another layer of accountability. We mentioned earlier finding a gym with good showers. 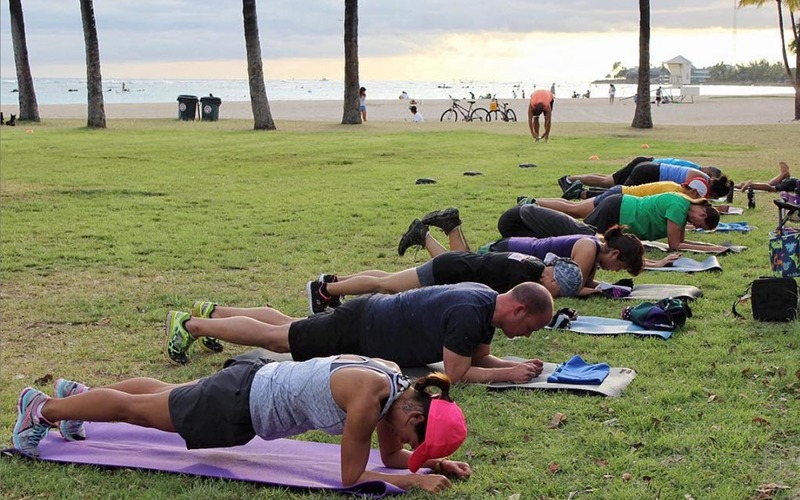 That’s a real thing you’ll need to think about as a newly-minted morning workout expert. Each morning, I leave the house in workout gear, carrying a gym bag packed with what I’m wearing to work that day. I shower and dress in the locker room, which I actually quite enjoy. Everyone’s in a sort of polite rush, so the showers are quick (colder is better, remember!) and I dilly-dally way less than I would back home. Plus, there’s a hair dryer, so I haven’t had to buy one for the apartment. Crucial to this process is a good gym bag, which I pack the night before. (On the rare occasion I haven’t been able to get up, I’ve had to unpack my work clothes from the bag and dress in my room. It is unspeakably depressing, and you will not like yourself.) 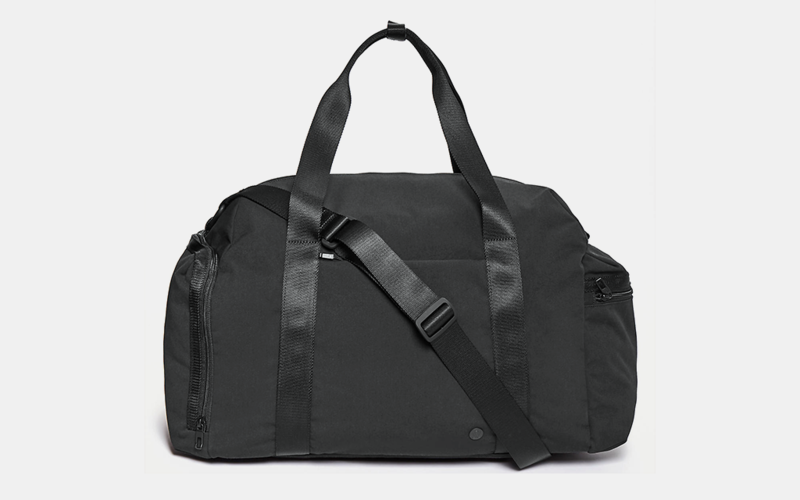 Find a gym bag suited for your needs here.